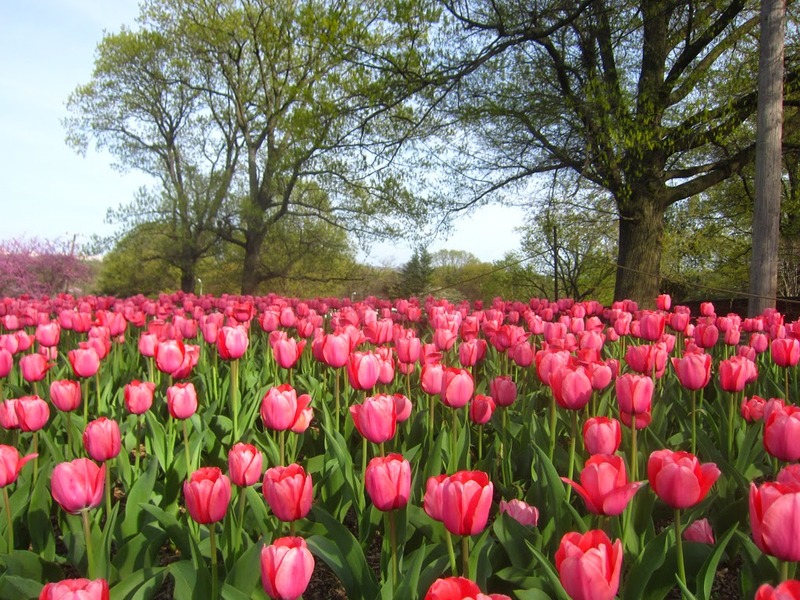 To get to the famous Rosslyn tulip gardens, exit the Rosslyn metro station into downtown Rosslyn. Then walk south. You'll pass by the Rosslyn's pioneering Dark Star Park art installation. Continue across Rt. 50 and pass by Rosslyn's sacred Marine Corps War Memorial (Iowa Jima). Then head toward Rosslyn's famous Netherlands Carillon. Rosslyn's magnificent tulip gardens are right in front of the Carillon.